Manufactured Homes | Can VA Loans Be Used To Purchase Manufactured Homes? 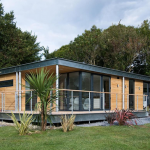 Home » Can VA Loans Be Used To Purchase Manufactured Homes? First off, yes, VA loans can be used to purchase Manufactured Homes. And since tomorrow’s Veterans Day – a big “Thank You” is due to all of those that served our wonderful country so dutifully. With tomorrow being the designated day that our country pays respect to our returning veterans, this seemed like an appropriate time to provide a little helpful information for our battle hardened heroes. Helping them get on with their lives, as they look to start a family and enjoy a little bit of the American Dream they fought so hard for – homeownership. While there are many financing options available for the average manufactured home buyer to consider, the VA’s loan product makes it particularly painless for America’s returning veterans to purchase their own version of the American dream. The Reader’s Digest version of the feds VA home loan product is this; the VA’s Home Loan permits qualified homebuyers the unique opportunity to purchase a home with no down payment. Additionally, there are also no monthly PMI (private mortgage insurance) premiums to pay, no limitations on buyer’s closing costs, and no need for an appraisal that notifies the buyer of the subject property’s estimated value. Yes they can, with some limitations; the feds VA home loan can be utilized for constructing, modifying, or repairing a home; refinancing an existing home loan … or buying a manufactured home with or without a lot. The modern VA loan also helps veterans with both the purchasing or upgrading of a manufactured home’s building lot; in addition to helping offset the homes carbon footprint by allowing for the installation of energy efficient devices, like solar heating panels and/or cooling system — as well as paying for weatherization upgrades. The way it works is simple; a private lender underwrites the VA-guaranteed manufactured home loan. In return, the Veterans Administration insures the lender against any loss should the returning hero or any of their descendant’s fail to repay the mortgage. 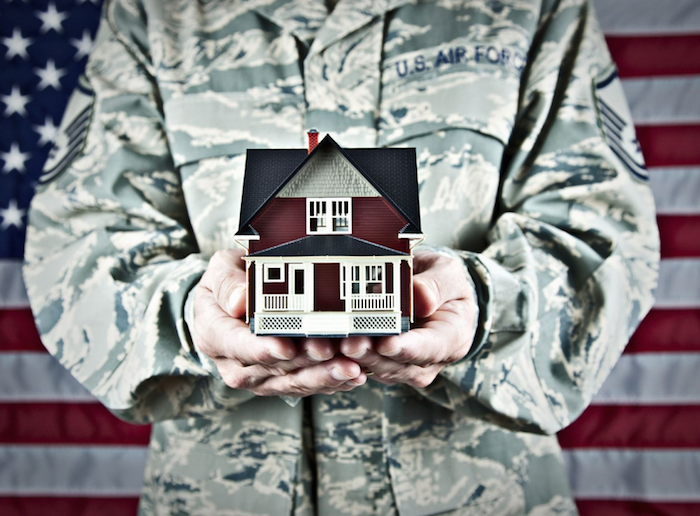 The VA will guarantee 40% of the loan amount or the veteran’s available entitlement, up to a maximum amount of $20,000. The guaranty amount is not the same as the amount a veteran can borrow. Currently, the short list of lenders willing to participate in VA loans on manufactured homes looks like this: Bank of America, SunTrust, Ally, US Bank, Acceptance Capital, and last but not least… MFG. 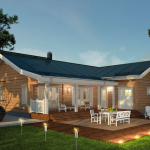 Making manufactured homes like the Kit Stonebridge 5502; a 3 bed, 3 bath, 2,323 sq. f.t a fiscally responsible option for America’s returning veterans.